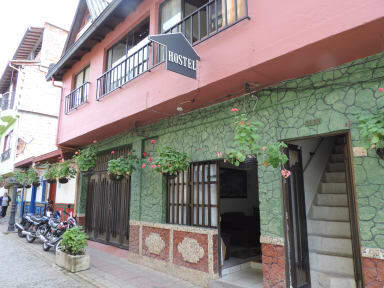 La Casona Hostel is located half a block from Guatape's main park, inspired by the typical Antioquian family, has spacious common areas, a beautiful terrace overlooking the lake and equipped with hammocks and chairs, ideal for meetings day and night, we also offer Discounts on many water attractions and guided tours. Half a block from the main park in Wineries Street, three blocks from the bus terminal, where you will find a banner with a map of how to get there. 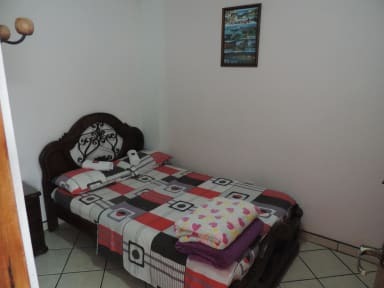 Comfortable rooms with private bathroom, hot water, cable TV and wifi, good lighting and spacious. Although the hostel has recently opened, it already looks quite old. Beds of the private were quite small. Location is good and staff is nice!